Christmas with Magic Dude’s folks was lovely. Okay,yes it’s true that I sat with my trusty hot water bottle most of the time, with my feet up on the footstool. And yep, it’s also true that I drank more fluids in one day than I can comprehend (pretty much equivalent to putting me on a rooibos tea drip)! And I admit that I tended to nod and pretend I understood what people were saying when I had no clue coz the multiple conversations had taken it’s toll and squashed any remaining ability to process information (unless someone said “Tea?” then the answer was easy)! And of course I thought of my missing family, but the choices of others are the choices of others. We need to hold onto who we are despite the losses and misunderstandings. Yes, I do also paint the skin around my fingernails! It’s just easier that way! Some bits of masking tape to leave a triangular shape to create the christmas three shape..
Of course that was my left hand… painted by my dominant right hand. Haahahahaaa! It was looking kinda good up until that point, eh?! (S’cuse the chip, I forgot to take a piccy of the comedy snowman til after christmas)! So, here I am on New Year’s Eve and I’m gonna keep it simple tonight – sparkles will do the trick. Of course I can’t go anywhere tonight, so I’ll be sat on my sofa with Magic Dude and our Local Friend. Am I ready? I’m so exhausted, and fainty, and nauseated, and… Bah! I’m gonna do New Years Eve from my sofa and it’s gonna be sparkly despite all that. – Sparkly nails that don’t exactly go with the dress because I’m such a rebel! So let’s have a moment in our own homes where we pat ourselves on the back for getting through last year, for smiling and laughing despite the downsides, for making friends online who understand, for finding the ‘me’ in each of us that the health stuff never reaches. You are beautiful. You are strong. And even if your nails aren’t sparkly tonight, your soul certainly is. Sparkle my friends, I will be thinking of you all tonight and wishing you well. Ah yes, it’s that time of year again! When there’s more to organise, to buy, to cook, more travelling, more socialising, and all whilst in pain / near-fainting / struggling to process information and more. Too often we try to do everything ‘like we used to’, just to try to join in or make it special for kids and other loved ones. Even sometimes to avoid too much aggro’ from people who we only really see at this time of year simply because they just don’t understand why we seem to look ‘fine’ to them and yet we keep claiming we’re not fine / taking painkillers / going off to have a lie down etc. Thank goodness I have my friends living here in my laptop! Contact, understanding, humour – they all help us to keep going, especially through the tough times and all the more needed when it’s a tough time that many non-patients just don’t realise is so detrimental to us. Some of us international buds have swapped addresses, so there I was in the Post Office earlier this month sending cards abroad to some of my international friends. Who’d have thought it, eh? I’ve gone from little lonely me who has trouble visiting friends nearby… to meeting up with friends in entirely different countries (so far we’ve only met inside my laptop but that totally counts! 😀 ). Anyway, there I was telling the postlady which country each card was for so that she could price them accordingly (after commenting my approval of her very festive jumper of course). As she looked at one of the cards her eyes suddenly lit up and she started telling me about the trip she and her family took to Iceland last year. Her husband wanted to see the Northern Lights so they and their grown-up kids went for four days and crammed so much in to the time that I wondered how they did it! But it was wonderful to have a conversation with a random someone that wasn’t about the weather or something else mundane. Instead it was about one of the many countries my friends live in, and all these countries seem so much closer these days, more ‘real’ somehow than they ever could have before. Knowing that my Icelandic friend will have her favourite dried fish as a treat, hearing in my mind my Belgian friend as she jokes about Belgian fries and beer, sending love to my friends from the Netherlands, grinning at the thought of one of my Canadian friends swapping beautiful hand-made gifts whilst wishing love to all my other Canadian friends, hoping that my Swedish friend actually has TV and internet by then (it’s just not right if she has to miss the christmas Dr Who! ), knowing that my Swiss friend will probably awake on Christmas day covered in happy and warm cats, thinking of my French friend and hoping that she’s having a lovely restful time, crossing my fingers that my Australian friends are getting on okay with the different temperature over there, and thinking of my USA friends spending time with their families and pets. And though this is an international themed post I of course will mention my wooonderful UK friends who all live in my laptop too. I can be sitting here in pain after very little sleep and way too much socialising for my brain to cope with the processing (as is always the case for me with any social gatherings) and yet I will still be smiling and thinking of you all. You, my friends, are a lot of shining lights in my life that bring joy and peace to my heart. It is hard to express how much I care about each and every one of you, I value your love, your friendship, your happiness, your individuality, more than I can say. Or you can go for The Muppets way of doing things, of course! …. Isy in the USA discusses how celebrations vary around the world and that we don;t have to get swept along with them, we can create our own way of doing things that works for us: Happy Everything! When we find ourselves diagnosed with something we’ve never heard of and our doctor seems to be unable to clearly explain what on earth it is, what do we do? Many of us turn to the internet, but health information online is of variable quality, and even more so when research bounds onwards in new understandings whilst many websites are not updated with this new information. So what do we do then? Who out there has heard of the condition and has some clue about symptoms, prognosis, the whys and wherefores? How many of us actually get to see a specialist in CRPS? I was diagnosed by a very good limb-reconstruction specialist, and I’ve seen some general pain management teams, but never a CRPS specialist. Another reason we may look online is for someone, anyone, who understands what we are going through, who can reassure us that we’re okay, that’s it’s not ‘all in our heads‘, and that the sorts of stresses and strains which we are experiencing are common for other patients too. Of course the nature of the internet means that geographical boundaries no longer restrict who we meet or how far good information can be shared. There is effectively an informal international support network of CRPS patients all helping and supporting each other. And for those of us who find the right groups for our needs and temperament, and the most useful pages with correct contemporary medical information, the effects on us can be positively life-changing. The impact that this has is that a large number of patients internationally who were previously often isolated and looking for information…. now have access to regular contact and support, and can find research, discuss aspects of the condition, talk about potential treatments and indeed anything that they wish to talk about. This is one heck of a turnaraound for patient experience. I have met some awesome fellow CRPSers who admin’ in support groups, raise awareness, blog and info’-share as advocates for fellow patients. The slower speed we have to work at owing to our health issues never detracts from my excitement at the potential though. How can I not be excited? – I am part of an informal network of CRPS patients who have professional skills in nursing, pharmacology, occupational therapy, alternative medicine (which is especially important to patients allergic to mainstream medicine), nutrition, research, writing, psychology, counselling, ohhhh my goodness this network of awesome and beautiful-souled people is an absolute treasure trove! We gravitated towards one another because we recognise each other as determined information-gathering/sharing advocates. There’s no formalities here, we’re just people who got to know each other, liked what we found in each other and we often come together to help others. Some of the people in the network work hard at raising awareness, sometimes that is through social media, or wider media, or through creating and selling awareness jewellery. Others in the network blog and maintain websites. Some carry out research, and others support that research (sending another moment of thanks to my super-coder, who is a CRPS carer, and to my fab’ coding and statistics advisor 🙂 ). Pretty much all of us are involved in admin’ support alongside the other things we do. Pause for a moment to remember that these people are so terribly chronically ill, with multiple issues across various systems in their bodies. They often are unable to work because they cannot guarantee being able to work at any given time on any given day. So all this wonderful work they do to help others is done around immense pain and often additional challenging issues such as fainting, severe nausea, the understated brain fog (which one of my friends refers to as full-on London brain smog when it gets so bad that we can’t function!) and this means that it can only be done as and when the body allows. Which isn’t very much. So the amount of time that they battle through the symptoms to even just be there for others says a lot about how much it means to them to be able to help fellow patients. These are truly awesome people. And they just so happen to be from all over the world. Modern technology, including the rather handy online translating applications, renders geographical distance a mere annoyance. In fact it’s not so much the network of advocacy which is affected, because that works amazingly across time zones, across language barriers, across cultures and more. No it’s really just the fact that we can’t all meet up for teas, coffees and a face-to-face natter that really bugs us about the geographical distance! The love, the gratitude, the admiration, the respect that I feel for these amazing people is something that lifts me on those days where the health issues are more challenging than usual. They’re out there. Kicking CRPS arse! Making a difference to other patients around the world. And when they’re facing a flare-up day they know that I’m still out there doing what I can, too. The international aspect is a positive boon as the varying time zones (plus all of us who can’t get to sleep!) means that there’s always people out there.. 24 hours a day, 7 days a week, who support, share information and answer questions – who do whatever they can to help fellow patients online. Initially I was just me doing what I could to help others. Then I met some fellow patients doing the same and I became part of a group of friends doing what we could to be useful. And as time passes the connections naturally build up. We meet other admin’s during our admin’ roles, we come across other bloggers and awareness raisers when we join in with various photo or writing challenges… and so the network keeps growing. Think of all the little networks, and imagine each network having someone who meets an advocate from another informal network… they get to know each other, and maybe some others in each of their networks do to, and before we know it the network has extended. I adore the advocates I’ve met, we have the same goal in our heart: to help others. That one thing says a lot about our personalities.. so it’s not surprising that we help each other rather than butting heads! This isn’t business, this is heart, and morals, and ethics, and love. And that crosses international divides without missing a beat. The common denominator is helping others, it’s about being human, about caring. And that steps past any differences that we might have in geographical location, or culture, or the type of healthcare system we have in our country, or even language. Our hearts are aligned, and we put our heads together to be as helpful as we can. Every one is a lovely caring soul who I am honoured to know. Christa in the USA: Support of International Community: Why Do We Need It? “I am a Scottish woman, who has lived in The Netherlands for 14 years now. I have two amazing little girls, 7 and 8 years old. I am married to an amazing Dutch man (for 13 years now). October 2010 at work a colleague pulled my chair for under my bottom. Which caused the tendon in my wrist to become detached. I had surgery soon after. However RSD/CRPS had already started. I have RSD/CRPS type 2 – I have severe nerve damage from the elbow down to my finger tips in my right arm. The nerve damage caused my arm to decompose in 9 areas and has also caused me to spend 12.5 weeks in hospital in 2013 so far. This has an emotional effect on the whole family and friends. RSD/CRPS is an everyday struggle I have never had pain below a 6/10 in 3 years. This is also due to the fact that I have rebound effect with almost all medicine for RSD/CRPS. I forget most things, I have lists all around my home for nearly everything, I used to have an amazing memory. I have at one point this year spent 2-3 months crying daily, not due to pain but grief over the loss of my life. Around January 2013 my husband knew I needed more than my own friends and family and pain doctors, I needed to find others with RSD/CRPS who could understand me. I joined an online support group via Facebook, I can say with all honesty the group on one occasion saved my life and on countless occasions help me through the hard times caused by pain. I have made many friends who are also people with RSD/CRPS. We laugh together, cry together and also learn to express what no other person can understand, the emotional and physical pain connected with RSD/CRPS. I have spent time on Skype with others which is amazing, not just because typing is hard but seeing someone helps so much more than typing a message to them. Without an international community of people with this pain syndrome I would be isolated still, alone, and so would many others. Thank you to you all, you are all strong, amazing, courageous people. Today I have chosen to mention one in particular. Oceans separate us but we feel as if we have known each other for many years already. One of those friendships where you just ‘get’ one another, where each time we speak it’s like no time has passed, and yet the time between speaking still twangs at the heartstrings. We met courtesy of one of our health conditions, CRPS, so it’s been pretty darn good for something eh?! 😉 We had overlapping friends and ended up being admin’s in the same support group. Some of the admin’s decided to get together in a Skype chat, and that pretty much sealed the deal then and there! Seeing and hearing friends for the first time who have been loving and supporting one another but had never actually met in the 3D world was emotional, but in a good way. There were smiles and tears at the same time. The love, the understanding, the wicked senses of humour, all together in my laptop, right in front of me! It was a turning point for our understanding of friendships up to that point. 🙂 (You’ve met one of these awesome ladies in one of my earlier posts). They’re my sisters, not by blood but by heart, and there are other friends who I would love to draw into this warm friendship group because their insight, their hearts and their humour would fit in so well. Ahhh, happiness! Well anyway, there’s this one gal, right? She’s called Lili. She has a big bit of my heart that she’s settled into, and she’s there to stay. She’s ridden the rollercoaster ride of multiple severe health conditions her entire life. And despite the extremes she has had to go through she hasn’t lost her big warm heart, or her deep love and concern for others of any species. 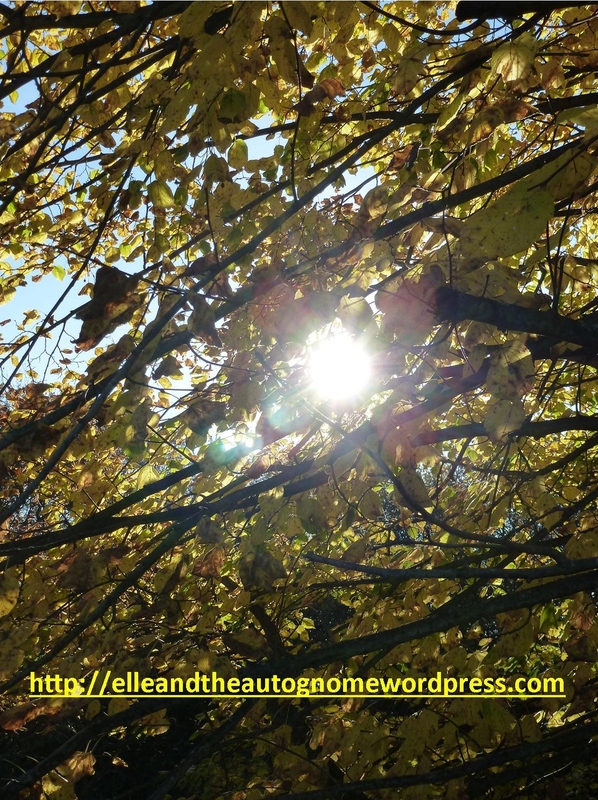 Recently the lovely Lili started a weblog for her book which is in progress. With severe allergies her amassed knowledge of alternatives to chemical medications and anything else that could possibly have allergens in it, from foodstuffs to washing soaps is, quite frankly, phenomenal. Much of it is there in her head for instant retrieval because it is such a part of everyday life. I cannot begin to describe how pleased I am that this book of information and alternative treatments for chronic pain is in progress. Lili’s understanding of chronic health issues from pain to immune issues and beyond is so very valuable, and I am glad that the book will be available in the future for us fellow patients to dip into for insights that can help us. Whilst the book is in progress Lili is writing a blog alongside it with information, insights, tips and more. The style of writing is easy on the brain and the author very quickly becomes familiar to the reader by her style and trust me – that’s her shining through. There’s nothing contrived about this gal! You can find Lili’s blog here: The Taming of the Beast, and the piccy is from this blog post. For today’s WEGO Health challenge…. I think I can get my doctor to talk to the consultant about alternative ANS stabilising meds. I think I can increase my core stability without nearly passing out! I know I can rest in the knowledge that I’m never gonna run out of tea! Awareness of the joy in creativity, and of it’s use as both a distraction tool and as an uplifting tool is great. But the bigger awareness of who we are, and how we are still ourselves despite the changes in our lives, well that’s the shiny. 😀 As I said in a recent post, I decided to be as me as I want to be. Yeah so I’m chronically ill and I can’t do the stuff I used to do, but that makes me no less me. That was about what I did, this is about who I am – I can still be in the world, live my life, love all of the amazing people I have met in the world and online, share thoughts, share laughter, I can still be creative even though I can no longer do pottery, and even though painting is such a mega pain fest to do too often. I can be creative in my head, in silly conversations, on the laptop when I’m up to it, and even the occasional silly sketch for the blog. Yep. My awareness that floats me onwards through life is that I have my world, my life, my skills, my love… all that I choose to do and all that I choose to be is in my hands. And although what I can do is restricted, that’s okay. It doesn’t stop me from finding ways to express my ‘me’. It doesn’t stop me from being who I am. So here’s a pic’ that was taken during a Tai Chi-ish moment in the British Natural History Museum in London. For me it was a creative moment, but it also says so much more to my heart. Being true to myself is about who I am on the inside, what I think about, what I feel, how I express myself, who I share my thoughts with, how I still try to be there for others. The question of whether I can still milk a cow, or do an accidental wheelie in a little Massey Ferguson tractor, or do a cartwheel down a quiet aisle in a supermarket is nothing to do with who I actually am. I did that stuff, they are expressions of who I am, and the memories make me smile, cool eh? Now, onwards… I’m creating new memories to add to the old… tea with a beloved friend, a silly conversation, a physio’ class I enjoy, some handy research shared with fellow patients that helped somebody out, a silly pic taken at the Natural History Museum the day before seeing a consultant….